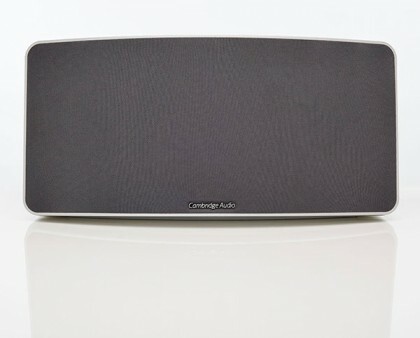 Having just gone to the mat with the Minx Xi Digital Music System, I welcomed the opportunity to check out Cambridge Audio’s Minx Air 200 Speaker System. Unless you have been living under a rock, you would know that most audio companies have already entered the wireless speaker market in a big way. My maiden voyage with this kind of speaker system was the Bowers and Wilkins Zeppelin Air and I was mighty impressed with how well compact wireless speaker systems delivered big sound. But that was three years ago, and in the audio world, three years is a lifetime. So, getting a chance to see what has happened to wireless speakers since then was an opportunity to get my ears reinvigorated. Cambridge Audio does a nice job of packaging their equipment and it took a little longer than usual to extract this speaker system. But, as later listening sessions proved, it was worth the effort. 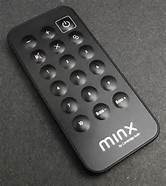 The ergonomics of the Minx Air are very unfussy with power, volume controls and Bluetooth buttons on the right topside and five internet radio presets on the left. The rear panel has a power cord receptacle, volume knob, status light, reset button, Ethernet and USB ports and analog inputs. The major set up issue is establishing a stable Wi-Fi connection with your home network. This requires getting to a webpage with Cambridge Audio info and then identifying your network, password (if needed), and logging in. The good news is that once it is done, you don’t have to fool with it again. While the Minx Air does have a small remote with presets and bass control, there is an app for i- or Android-devices that is very easy to use and allows the addition of other internet radio stations and EQ settings. Even better, if you are a subscriber to music services like Pandora, Rhapsody or Spotify, the Minx Air will answer your audio prayers. The secret to the sound magic of the Minx resides in its internal DAC and 200 watt Class D amplifier that drives two 2.25” Balanced Mode Radiator and one 6.5” subwoofer. I had no problem connecting via AirPlay or Bluetooth and was quickly listening to music ranging from MP3 to high-resolution files and my subscription services to boot. My first impression was that the Minx Air sounded much bigger than its modest dimensions would imply. Sitting on an equipment rack in my listening room, I got a spacious, well-articulated image with clean bass. High frequencies were a tad rolled off in comparison to my reference mini-monitor speakers. Sources that included hi-res downloads of Eva Cassidy’s Songbird, the reissue of the timeless Will The Circle Be Unbroken, Prince’s 1999, and the 25th anniversary album of Paul Simon’s Graceland all confirmed my initial impression. Both AirPlay and Bluetooth connections worked flawlessly and the internet radio was, well, MP3 internet radio. While no one would mistake this little guy for a major league stereo system, any listener would get a most satisfying experience from the Minx Air, i.e., I never had the urge to turn it off and rush back to my mega-buck reference equipment. 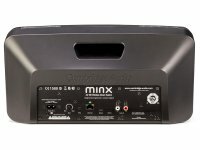 Like other Cambridge Audio components that I have heard or reviewed, the Minx Air is an over-performer. Unlike other one-box components that promise room-filling sound like Bose equipment, this one makes few if any compromises in dynamic range, frequency bandwidth or imaging. I could easily see the Minx Air becoming the centerpiece of a compact stereo system where space is at a premium. Once hooked up and with its wide variety of audio options, this is truly a system rather than a single component. Cambridge Audio has done it again. The Minx Air is one of those audio overachievers that will make potential buyers smile. With a price tag south of half a grand, you can use your savings for home repairs, a more comfortable listening chair, or, heck, your Roth IRA. In sum, the Minx Air 200 Wireless Music System is an excellent choice for Wi-Fi audio novices.